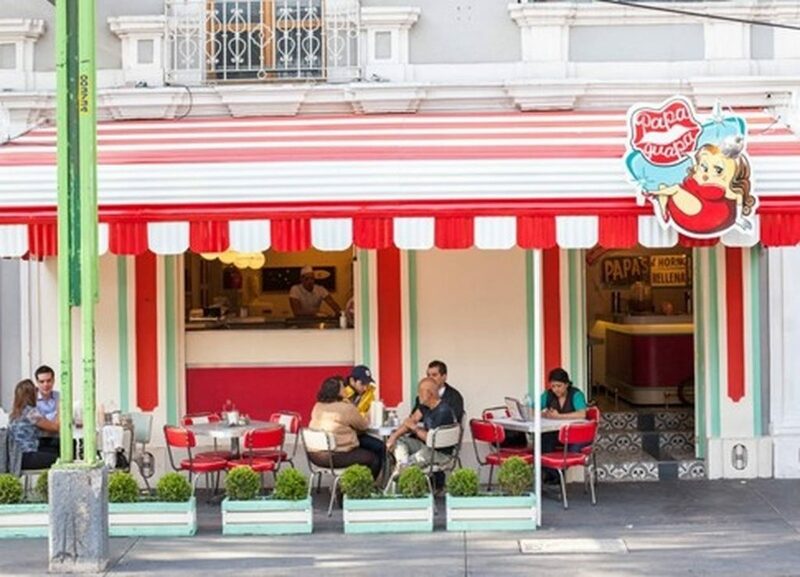 With these restaurants, you will realize that it has been a long time since lunchtime was something more common in our routine, because the way they are decorated you would want to make them your second home the next time you take one of the flights to Mexico City. Rock and roll, super heroes and space travel are some of the themes that the owners of these places, that beyond good food, seek to offer a pleasant and different experience for their customers. The reasons to visit it are not only in its delicious baked potatoes, but because even before crossing the door, you will feel that, you have just entered a kind of time machine. You also have to know its menu, which refers to several famous women, from Maria Felix to Winona Ryder, so it is obvious that each dish represents a surprise in itself. If your thing is the hairstyles with a lot of spray and the real rock and roll, then it is best to come to this restaurant and taste their shakes or their hamburgers, which will satisfy your hunger at any time of the day. In addition, if you combine all this with a very Grease style, as a result you have one of the best places in the entire Roma neighborhood. Although it seems that we are few who remember this legendary series created by Hanna-Barbera, this restaurant, between retro and futuristic, “established in 2089” reminds us in each of its corners. Like Papa Guapa, you can´t leave this restaurant without tasting its delicious baked potatoes, all of them with unique ingredients that you can´t miss. Statues of heroes and villains will be waiting for you in this place, all ready for the moment you want to take a picture by its side, and surely, after that won´t fall bad a good portion of pizza or a delicious hamburger. This restaurant is one of those that you want to meet in the days where you and your friends are looking for a good place to have fun without much effort, maybe watching football or talking, while a Spiderman figure hangs from the ceiling. Forget the boring rules that prohibit you from eating and playing video games at the same time, because in this restaurant it will be impossible for you to comply with them. With a console for each table, which can go from an NES, to an Xbox 360, the only thing you have left to do is have fun, because in addition to the consoles, the place is full of arcade machines with more than 640 titles programmed, all this added to its fabulous tacos is the perfect recipe for an afternoon like no other. That meal time is not just another part of the routine, visit any of these places when you take one of the flights to Mexico City and give a more fun touch to your meals, which besides being delicious, will be truly fun.